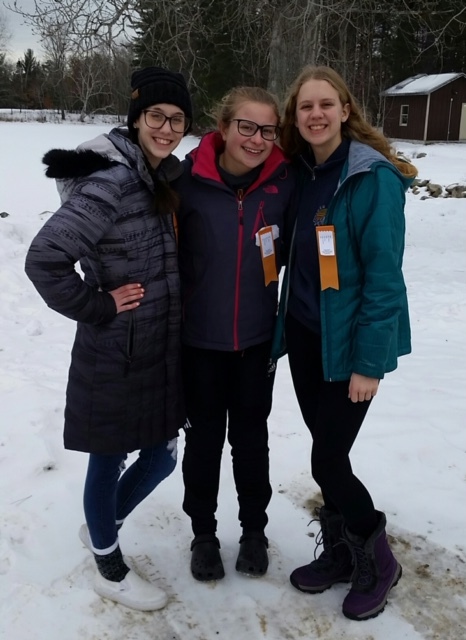 Roscommon Interact volunteer at Hanson Hills for Winter Special Olympics! 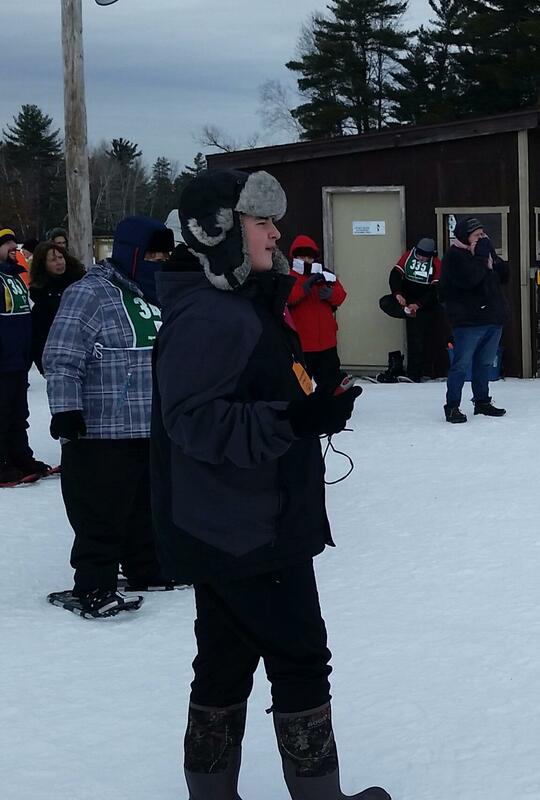 Interact member Alex Goodall timing Special Olympians during the snowshoe race. 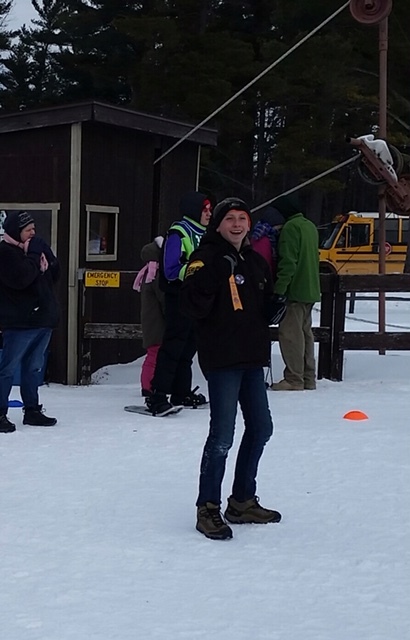 Interact member ben Mayes timing a Special Olympics Snowshoe event. 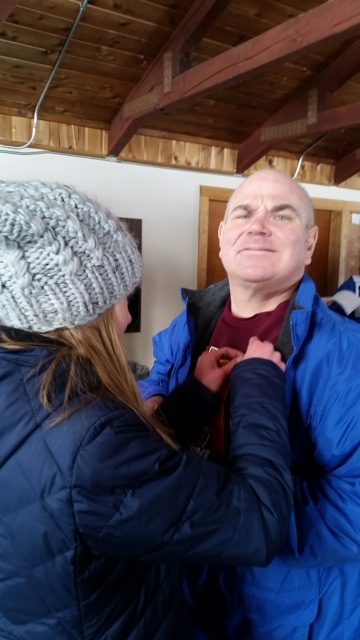 Interact member Allison helping Special Olympian athlete Joe with his ribbons. Seniors Marissa, Jessica and Annie --- their last Winter Special Olympics. Roscommon Interactors at the groundbreaking ceremony for a new home to be built through Roscommon County Habitat for Humanity. 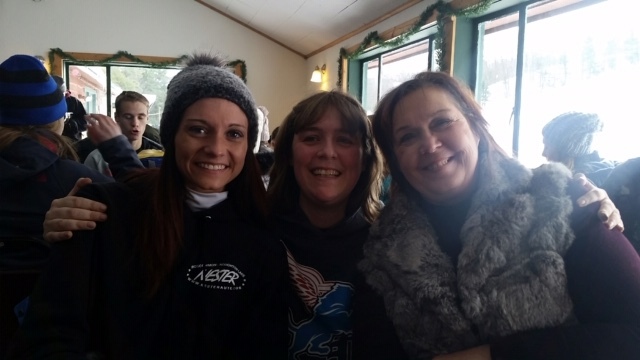 Roscommon Interactors will team up with students from the Houghton Lake Interact Club and work with a licensed contractor to help build the three-bedroom home in Roscommon. The students are excited to work on this project and believe it is an excellent example of Rotary’s motto: Service Above Self. The foundation is now completed and the floors will be constructed in the next couple of weeks. Stay tuned for progress updates! Kids Helping Kids: Kids Helping Kids is an ACT Now program focused on helping provide gifts for foster children in Roscommon County. The gifts are distributed at a special family style holiday dinner to help thank the families for the hard work they do and to give them support during the holiday season. Interact helps by shopping for the gifts, wrapping the gifts and helping serve as “Elves” at the dinner. 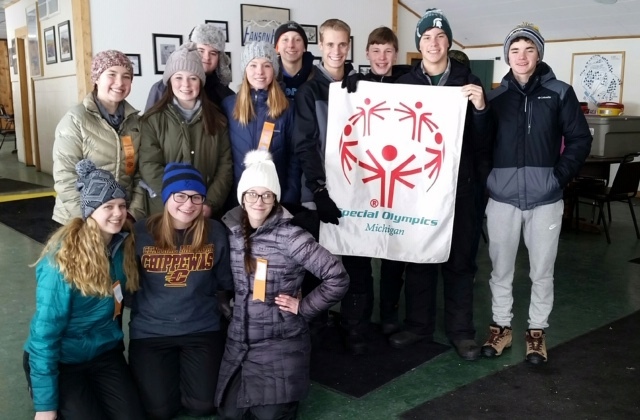 Winter Special Olympics: Interact haves traditionally helped at the Winter Special Olympics held at Hanson Hills in Grayling. They participate in the opening and closing ceremonies, the medal ceremony and by timing and cheering on athletes in the various events. Valentines Party at The Brook: A new event in 2018, Interact joined residents at The Brook to celebrate Valentines Day with Bingo, a special craft and decorating homemade cookies.